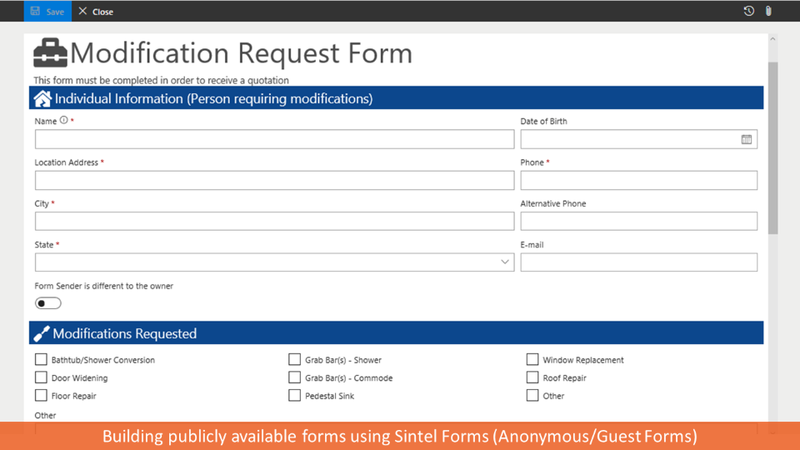 In the November release of Sintel Forms we have added a very exciting feature – Anonymous Forms. With this feature users can now submit forms without being logged into your Office 365 tenant and those submissions can be secured using a CAPTCHA. Forms that are submitted anonymously can still use complex workflows to automate whatever business process is required within an organisation. To demonstrate how you can use Anonymous Forms we have stepped through the process of building a Modification Request form for a construction company. The form is set to be accessible anonymously to allow anyone submit one and any forms that are submitted are then reviewed internally and assigned a person to review and complete any required tasks. This article assumes that you have already added the Sintel Forms App into your tenant and you are comfortable with using out-of-the-box SharePoint functionality such as creating lists and adding columns to lists. 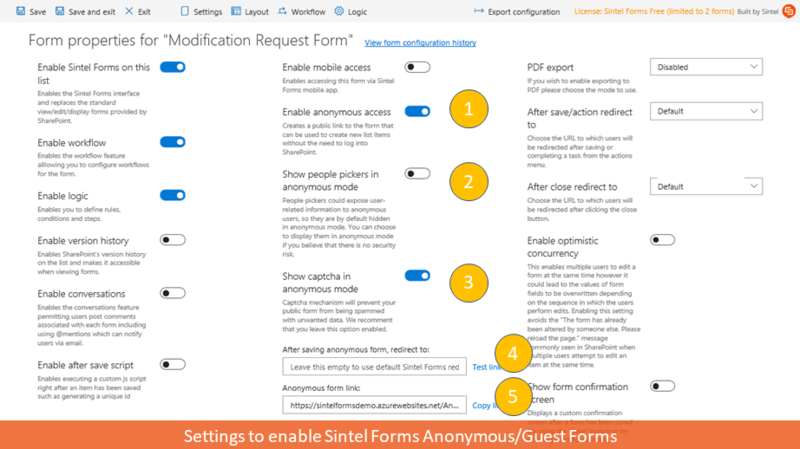 Note: If you haven’t already added the Sintel Forms App to your SharePoint tenant you can find the instructions for doing this here. Create a SharePoint list, we will call it Modification Request Form and add all required fields. Enable Sintel Forms on the list (click here to see how). Configure a form layout using the Sintel Forms Designer (click here to how). For security reasons people picker controls are disabled by default in anonymous mode. This is to prevent anonymous users from seeing the details of other users in your site. You can enable the use of people pickers but you need to be aware of the implications of doing this. This text-box contains the unique URL address of the anonymous form. This URL can be used by anyone to open and save new forms.